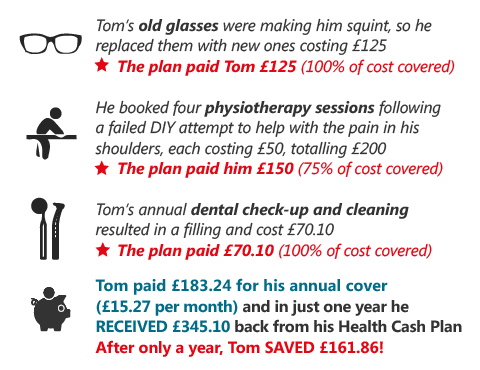 Helping you pay for the cost of routine healthcare such as dental check-ups, new glasses or contact lenses, physiotherapy and other treatments not covered by the NHS. You can cancel the policy within 14 days of the start date and we will refund any premium paid if no claim has been made. Following this, you may cancel the policy at any time in writing to NowSure, 39/51 Highgate Road, London NW5 1RT, by emailing customerservices@nowsure.com or by phone on 0343 178 1237 but we will not refund any premium paid.